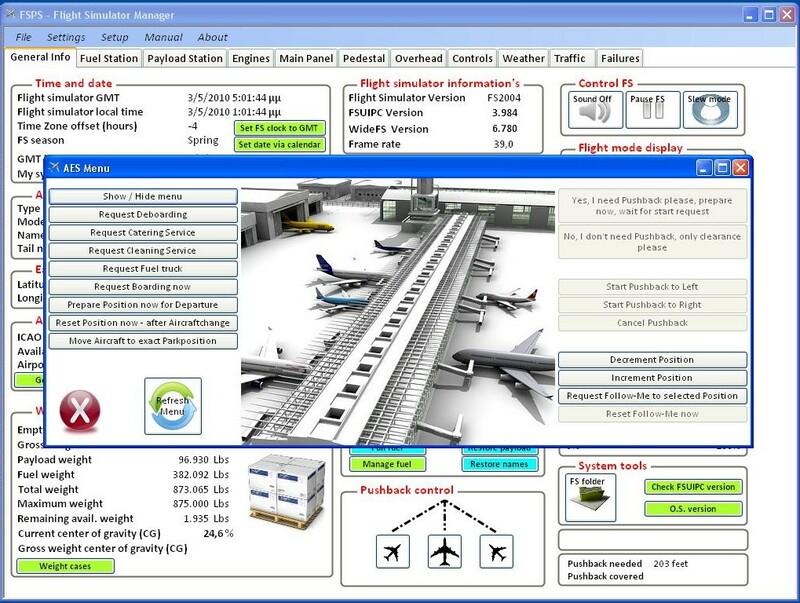 Have you ever thought what the expensive payware aircrafts offer to the final user apart from better graphics and FMCs? 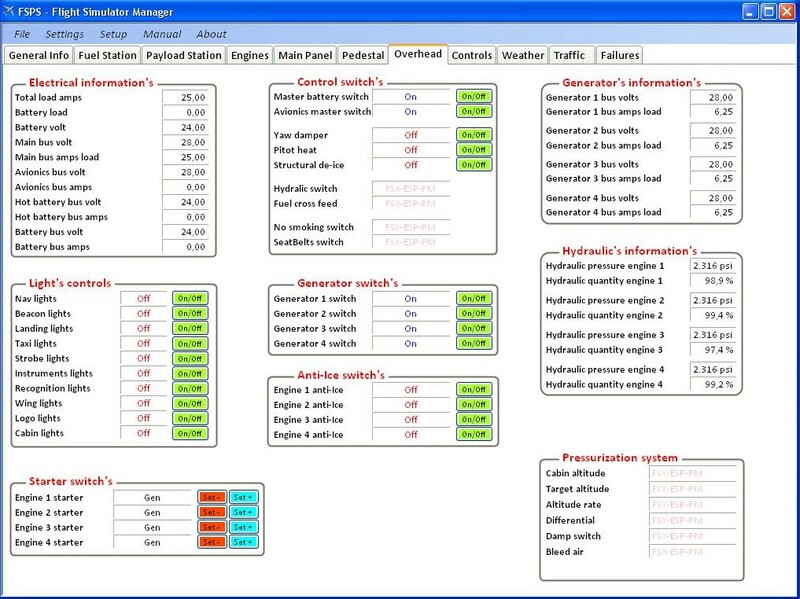 Well, most times all that counts is the depth of the systems, and the "extras" that comes with the package. 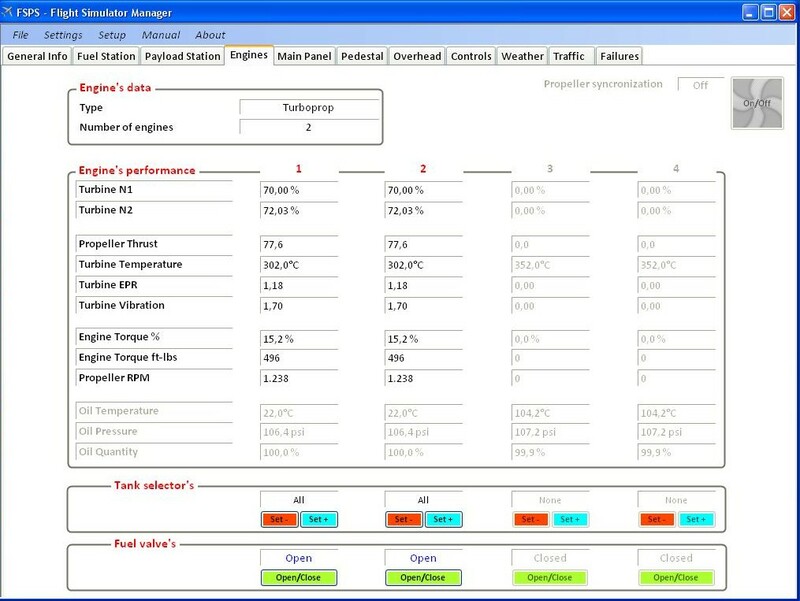 There exactly, Flight Simulator Manager - an application written by simmers for simmers - comes to cover the gap between the default aircrafts and the most complex payware ones. 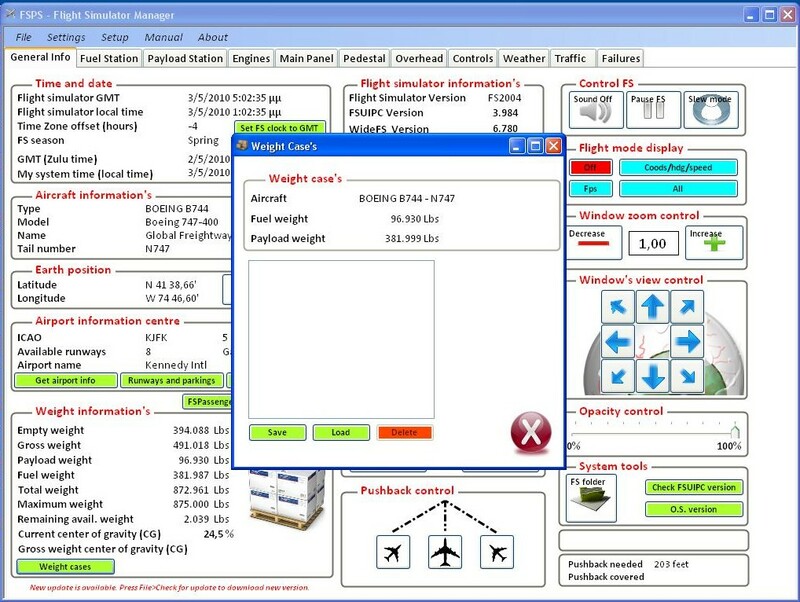 An application that talks to the Simulator via FSUIPC (or via WideFS for usage by a client PC) gets useful data, sent commands unavailable to the default aircrafts, simulate systems that doesn't even exist in your aircraft! 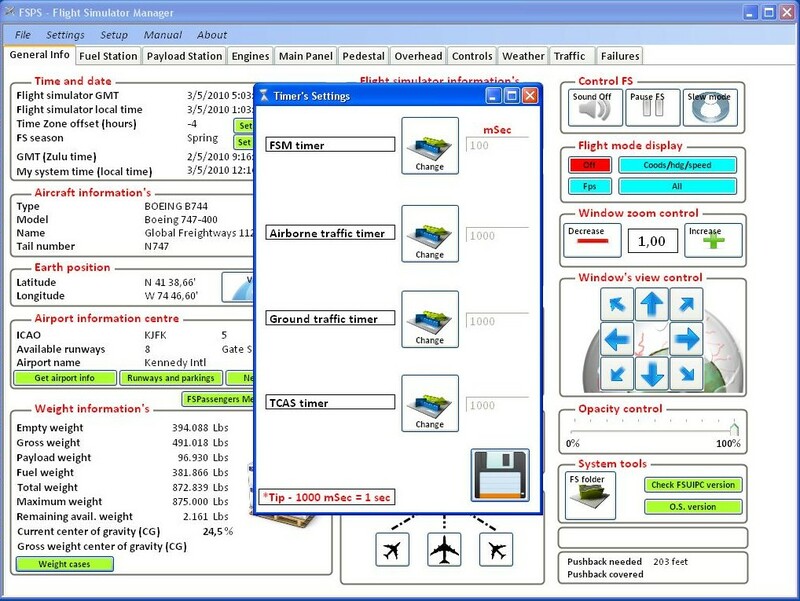 Flight Simulator control was never such an easy task, and never there was such power in your hands for use, even with the most simple default aircraft. 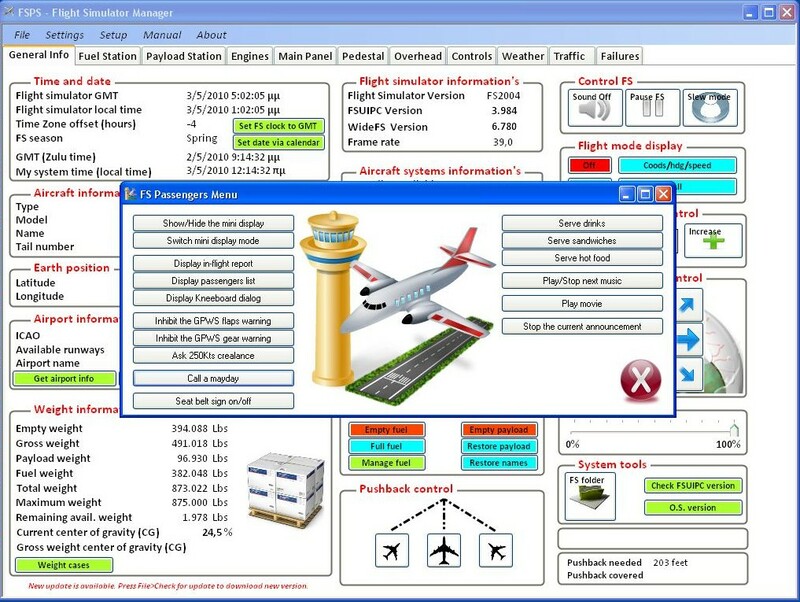 Flight Simulator Manager - by Flight Simulator Platform Solutions - is, in other words, an application that expands every FS aircraft's capabilities to another level. 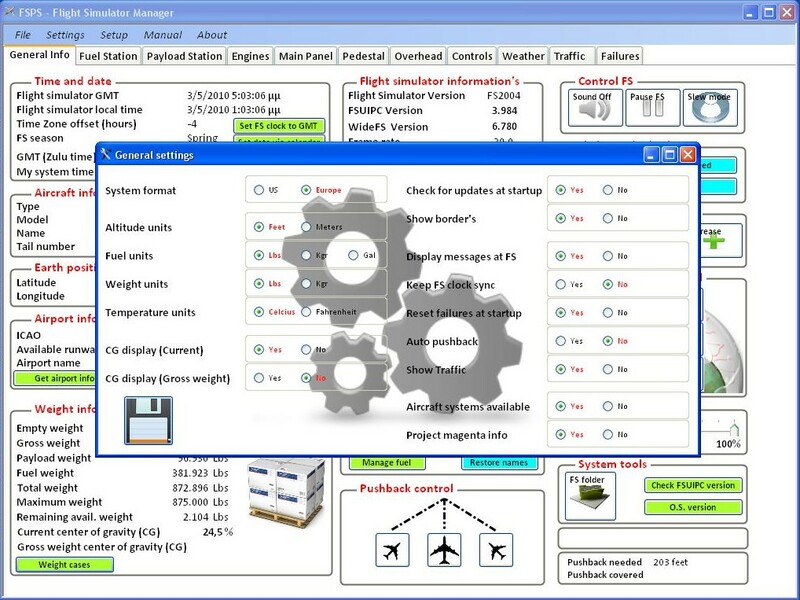 •	Set your Flight Simulator to GMT. 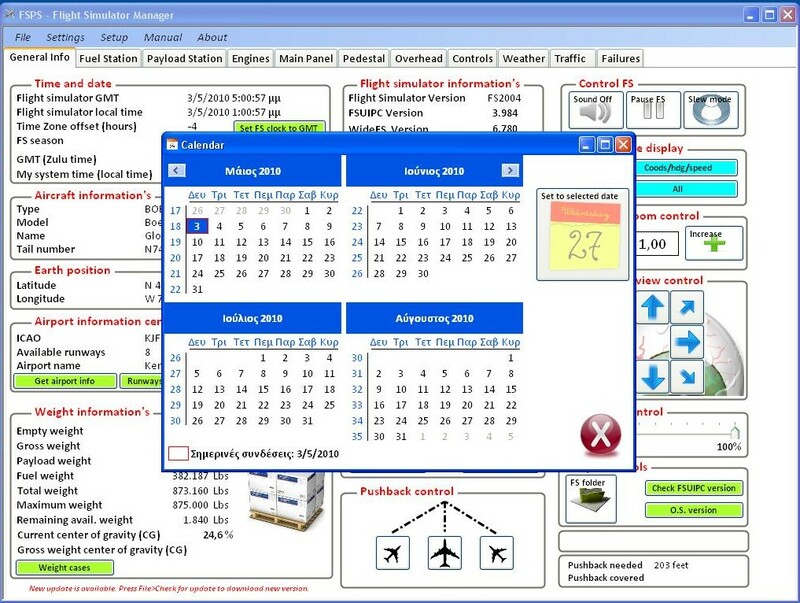 •	Set your Flight Simulator to current date. 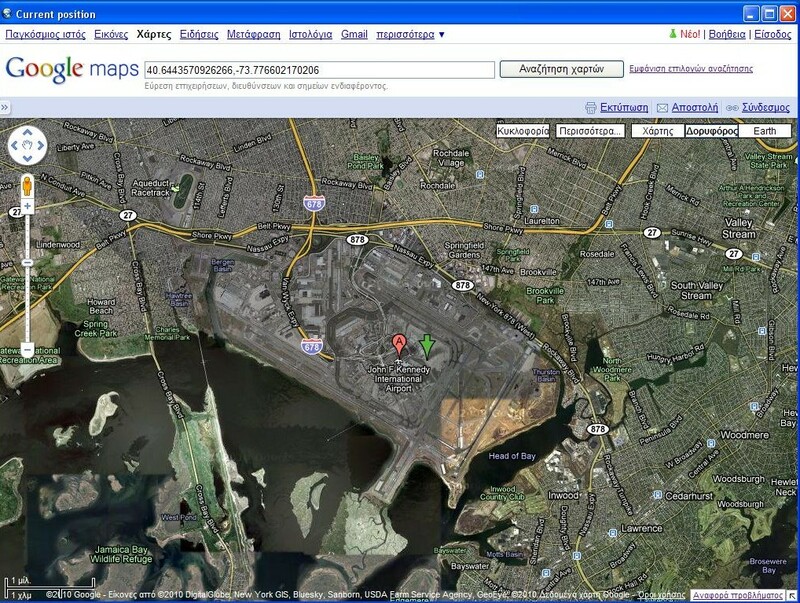 •	ICAO code, airport name and available runways plus the current runway or parking that the aircraft is. 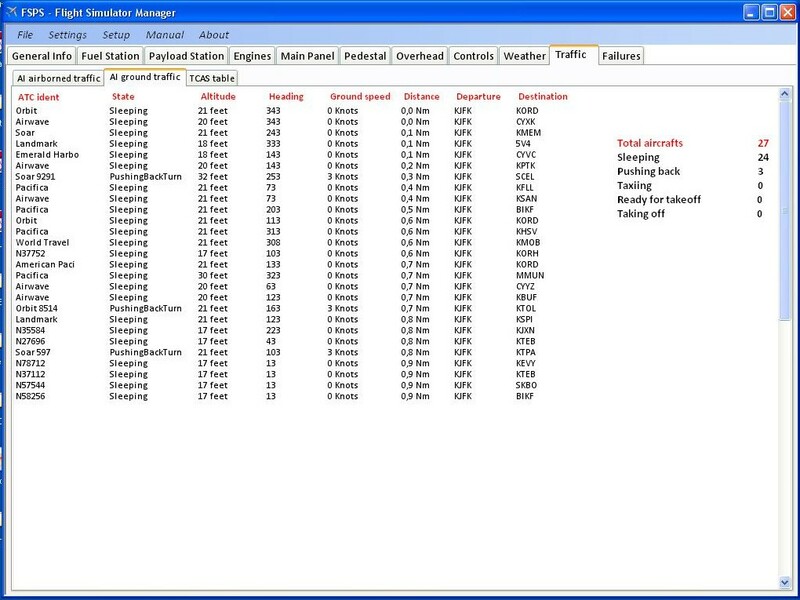 •	All the nearest airports with distance from your current position, runways, length of runways and available ILS frequencies. 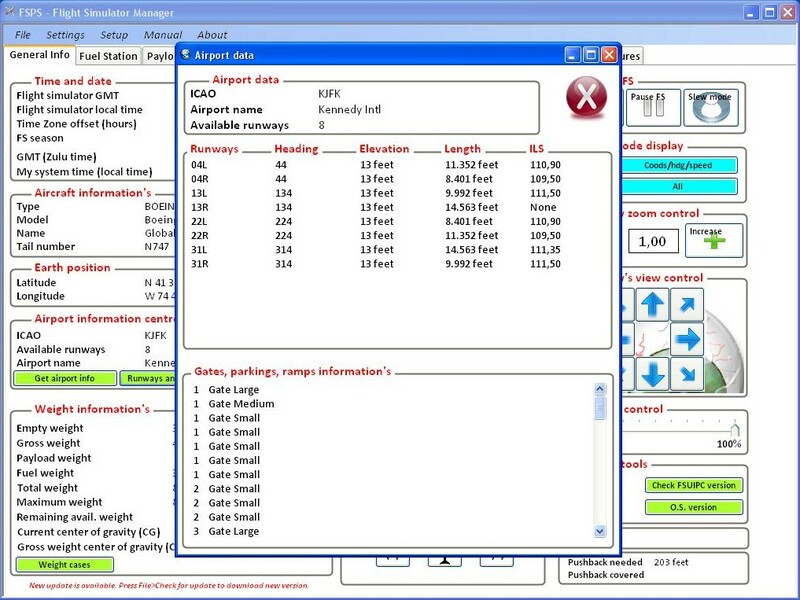 Fuel and weight quick tools. 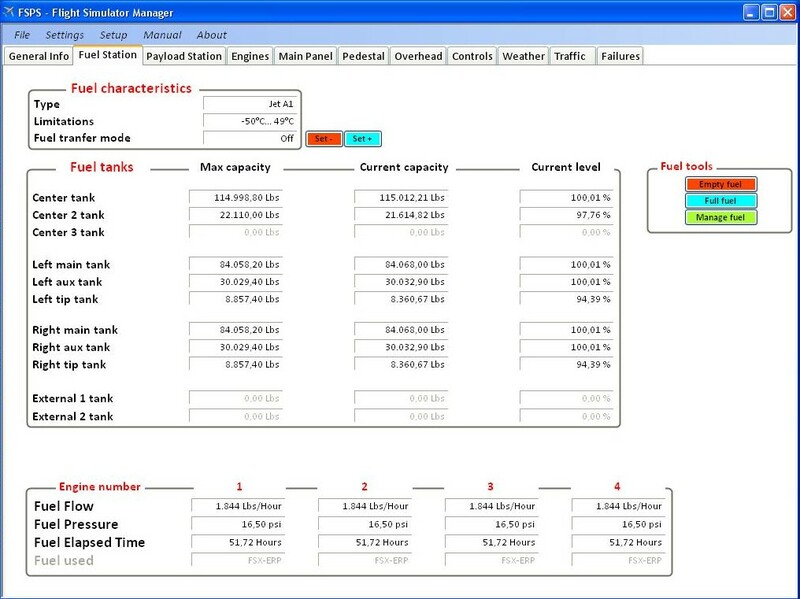 •	Set your fuel to zero. 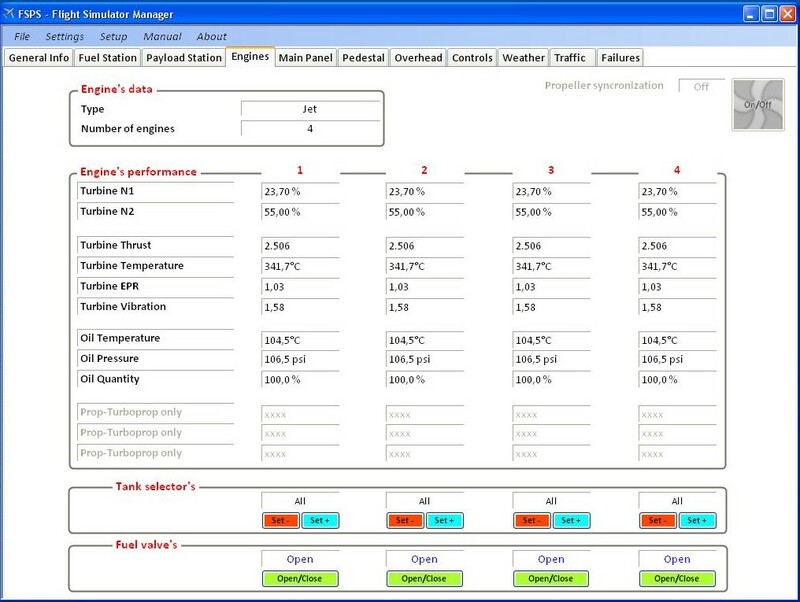 •	Set your fuel to 100%. 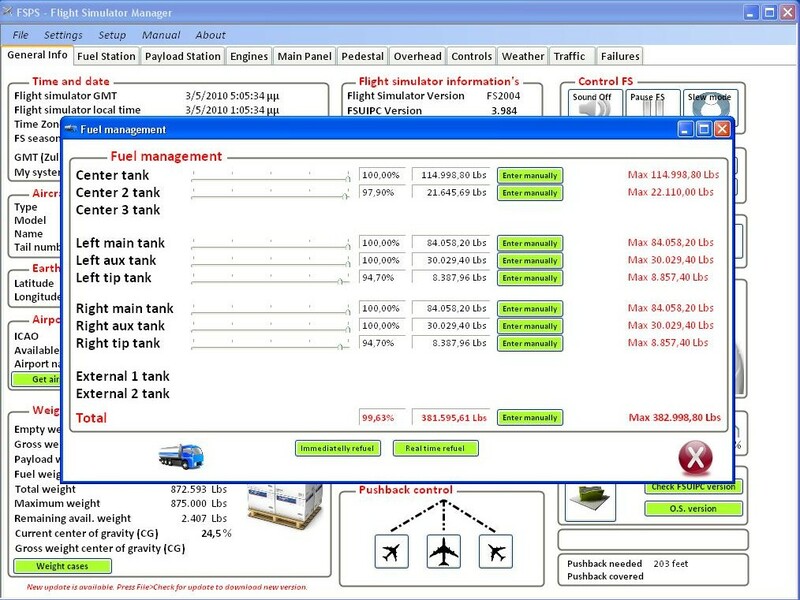 •	Load fuel quantity to aircraft instantly or in real time. 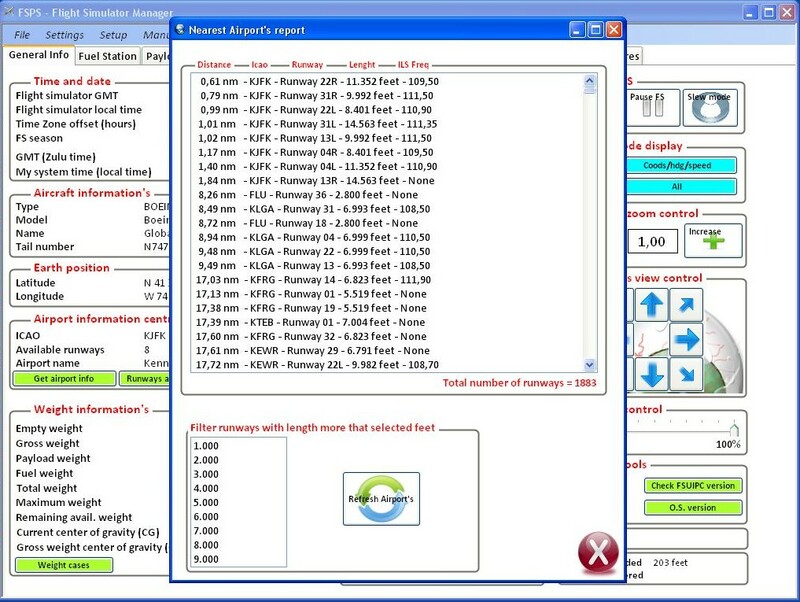 •	Set your aircraft payload to zero. 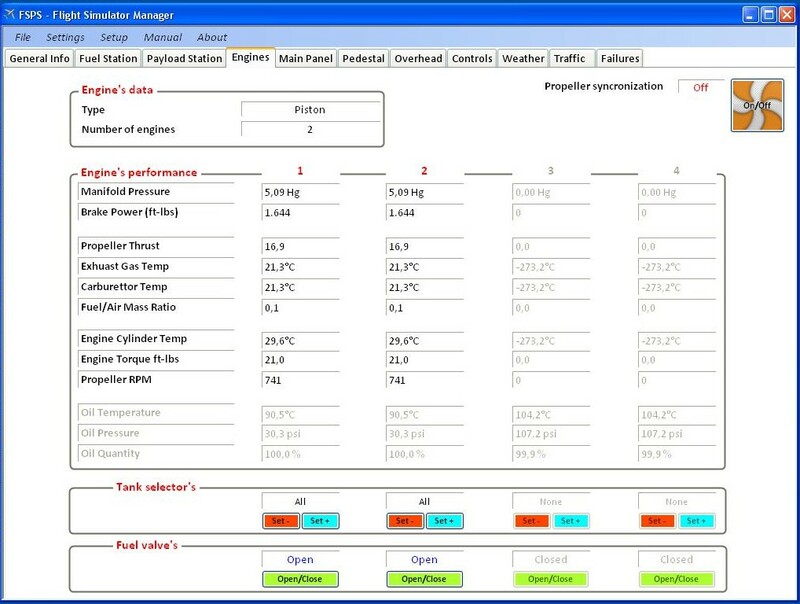 •	Set your aircraft payload to previous situation. 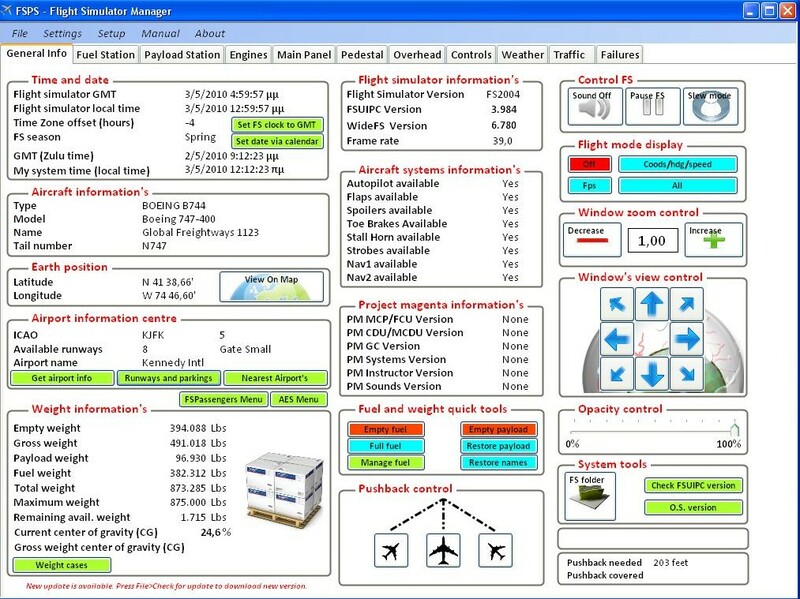 •	Set your aircraft payload names to original situation. 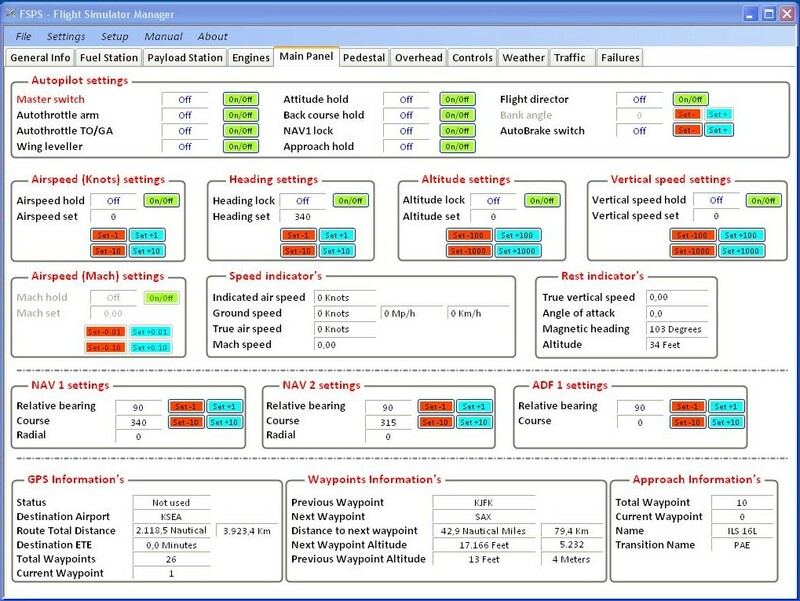 •	Autopilot, airspeed, heading, altitude, vertical speed, Nav1, Nav2 and ADF. 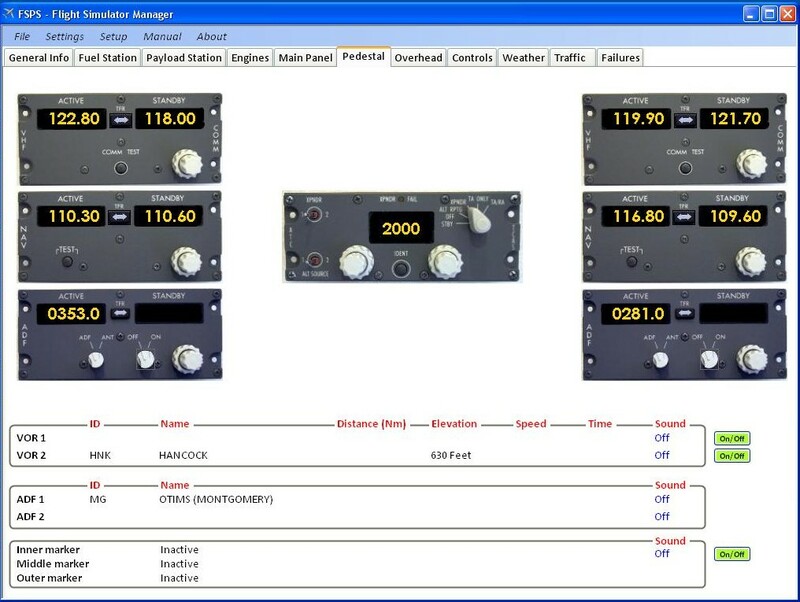 •	COM1, COM2, NAV1, NAV2, ADF's, sounds for VOR1, VOR2, ADF and Inner marker. 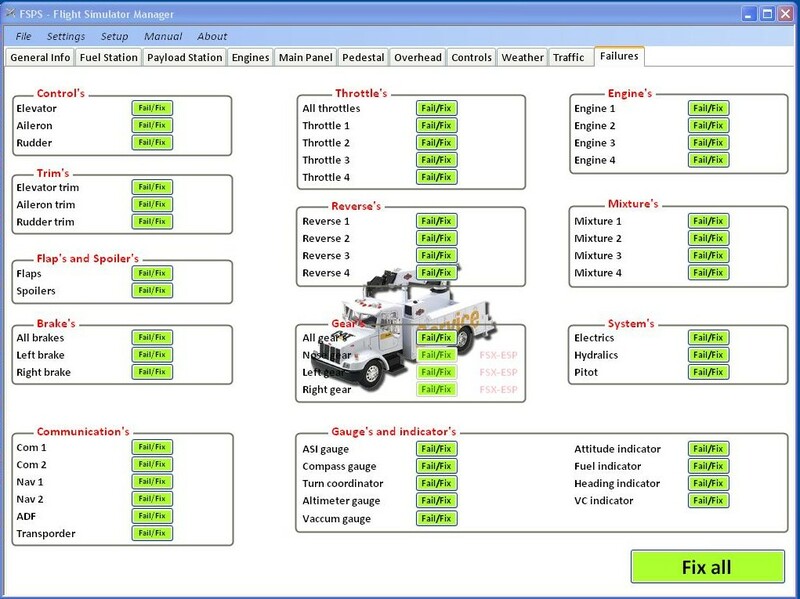 •	Electrical information's, lights, control switches, starter switches, generator switches, anti-ice switches, generator's information's, hydraulic information's and pressurization system. 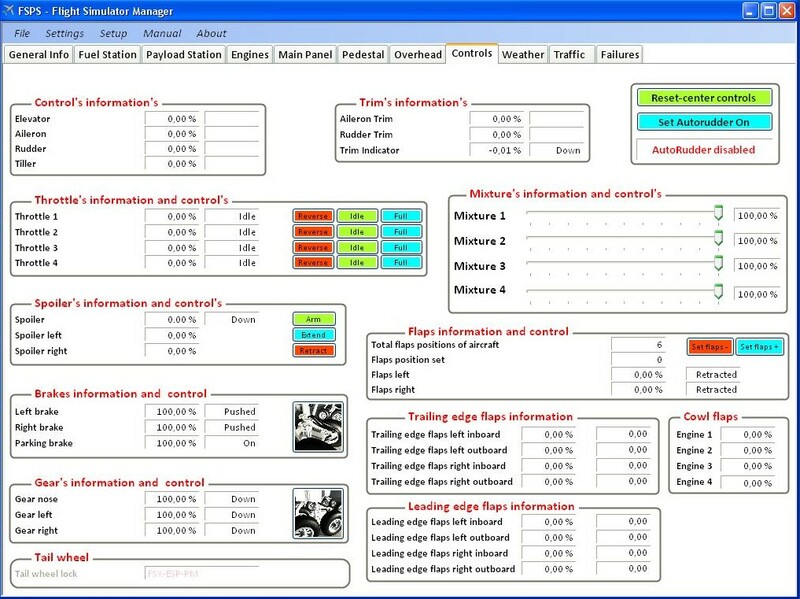 •	Controls information's, throttles, spoilers, brakes, gears, trims, mixtures, flaps and many more. 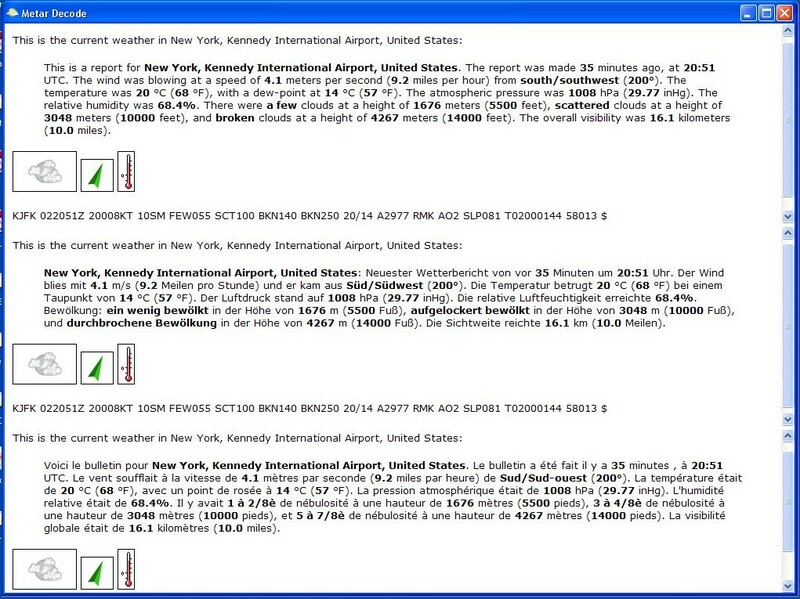 •	Access to the weather information's for winds, clouds, temperature, METAR and TAF. 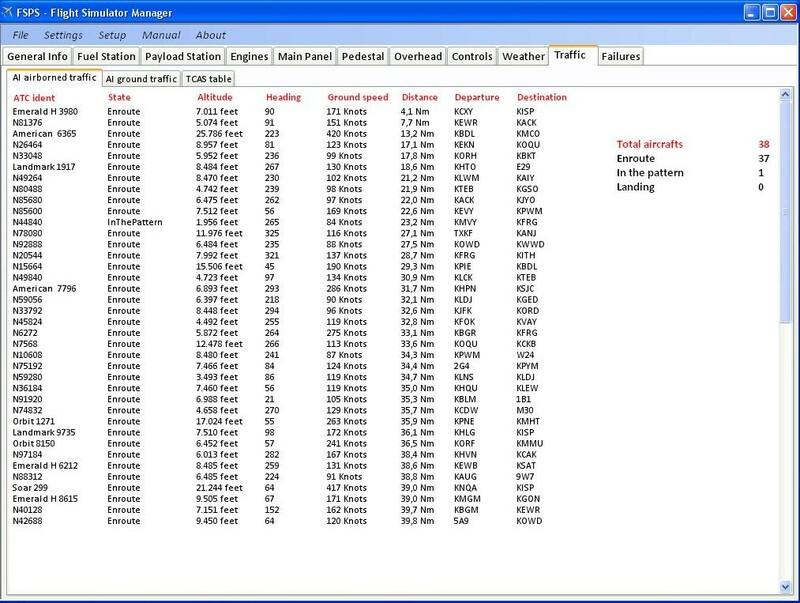 •	Information's ground, airborned and TCAS traffic.